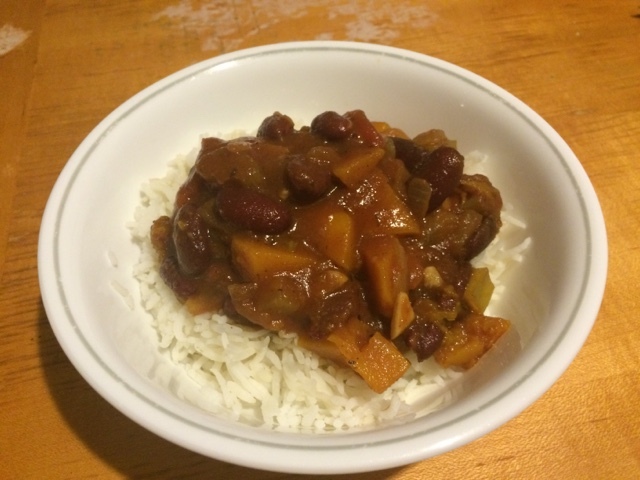 The Vegan Mouse: Pumpkin chili. Still using pumpkins from Halloween to make food. This is Gold Rush Chili from Susan's Fat Free vegan blog. I made it mild so Henri was able to have it too. Last night's dinner and today's food haul.